ROAD TOWN, Tortola, VI- Facing the public outcry for how they have mismanaged the Territory’s finances and receiving pressure from the United Kingdom appointed Governor John S. Duncan OBE, the Foreign & Commonwealth Office, the local media, civil society and the Opposition in Parliament, the ruling National Democratic Party (NDP) is coming with just two out of seven audited financial reports. They will lay these reports in the House of Assembly (HoA) at its Sitting on Tuesday April 18, 2017. 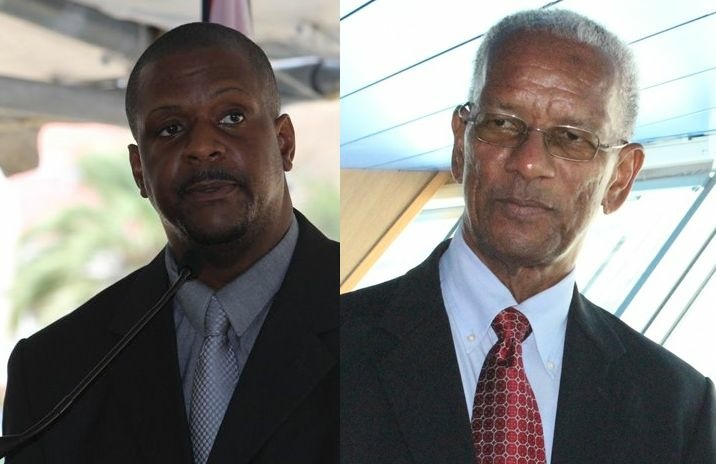 Many residents have suggested that the Government is playing politics by only coming forward with the two years under the Virgin Islands Party (VIP), those of 2010 and 2011. However, it’s important to note that the NDP came to power in November 7, 2011. Governor John S. Duncan OBE has chastised the NDP Government publicly for not bringing the Audited Financial Reports to the HoA and has publicly said the Government has engaged in reckless spending of public funds and lack priority in spending. You must admit that Fahie has been consistent in his quest for a better BVI. My neck is sore, my brain is tired, and I'm sick of all the inconsistencies with this administration. Here where our problems lie...Lock of accountability and instead of coming clean with the people they trying to sink the past. This is about the present and the future...You are the leader. Be honest and upfront woth the people make good things happen for the BVI...This ain no time for blame games. So the NDP supporters bawling yet? Hold on. Wait for some more. More to come. (The love of money is the root of all evil) and darkness cannot stand the light so evil will be exposed. We are going to be searched inside and out in time. This BVI do NOT make enough revenues to support itself and it's habits. For every dollar we bring in, Her Magesty matches it. It's her money, she will find it. Wow! Have you ever heard about punctuation? A whole new world of possibilities would open up if those in government knew how to relate to others, including citizens, without threats and bullying. Talk about a cover-up!! This is nothing but an attempt to deflect from the larger conversation about the corruption, financial mismanagement and thief from 2011- 2016, and to try to illustrate to the idiots who voted for these super-idiots that VIP did the same thing like them. Don't fall for it. NDP has an impressive list of initiatives that have been completed or started costing massive amounts of cash. Projects you can see feel touch no makebelieve. VIP, well not even a short list in sight. But money was spent so there is nothing to compare, no similarity in spending for the benefit of the people and country. @ big difference your NDP could of turn water into wine as well I don't care I know one thing for sure the talking is done come next election as lashing dogs say "Thing to talk"
We thank God for Fahie. Like him or not he is the only voice for the voiceless in these Virgin Islands. Intelligent people recognize that both parties NDP & VIP can be in the wrong. the BVI political mess is not black and white. I am at a lost, in this matter regarding this audit report is it a legal and binding requirement, if so then why have we not been giving any for so long. Ecclesiastes 8:12, is my reference for this. when the ordinary man disagree or disobey the laws of the land its called treason. So why are these high powers getting away with it. this to my at least is called hypocrisy. yet we want the youths to be so law abiding, practice what you preach guys.